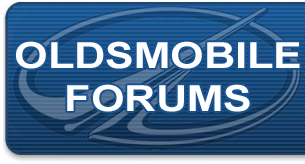 Thank you for making this the best Oldsmobile community/website online! This place has grown by leaps and bounds over the past few weeks. This is truely amazing. It's amazing how even after a company is gone, it's loyal owners and enthusiasts can gather together to help one another and, while they're doing it, grow a site that Oldsmobile itself would be proud of. Its a thank you all around....thanks to sal for starting everything up, thanks to the members for continuing to join and post and keep the site up and running. Sal gets ENORMOUS respect from me. Same with every single member on this site. This place rocks! What a great way to look at it! I'll bet it will be here! Yes thank you for the site.